Every good outfit is only complete with some great value wholesale accessories. With our selection of add-ons and extras you can fully flesh out your stock so customers have every opportunity to pick up a few more items and spend a little more while in your store. 1st Impression wholesale accessories are carefully chosen from UK and international suppliers to offer you excellent quality at competitive wholesale prices. At 1st Impression Manchester wholesalers we work hard to bring you the latest deals on wholesale accessories, with an ever-changing line-up of great value products. Check back for new additions to our wholesale accessories department and see what's in store for the changing seasons. Don't forget you can also find wholesale clothing accessories throughout our website - just look under men's wholesale clothing, wholesale women's clothing and our other departments for some of our product lines that are a best fit for that category. Great value wholesale women's accessories brought to you direct via our Cheetham Hill wholesalers. We bring the best product lines from our suppliers all over the world to our wholesalers in Manchester, giving you a one-stop shop for all your wholesale women's accessories lines. 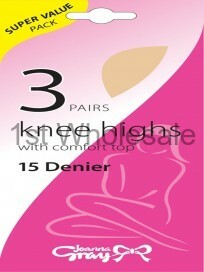 The perfect complement to our wholesale ladies' lingerie, women's underwear and socks. Women's accessories are hugely popular product lines with new items coming into stock all the time, and very versatile as many are one-size fits all, making them a great addition to your stock. It's not only women who can accessorise, and with our carefully chosen wholesale men's accessories you can cater for male tastes with elegant Argyle socks and wholesale men's braces, plus warm winter hats and gloves. Find a selection of our wholesale men's accessories on these pages or visit our men's wholesale clothing department for more items and ideas. Again many of these products are one-size fits all, making it easy to add some quality men's accessories to your stock with universal selling potential. Jazz up your dance outfit with our great range of wholesale dance wear accessories. Plenty of neon colours, sequin sparkles and retro sweatbands add up to an excellent range of extras for every member of your troupe to wear. Choose from fun and frilly multi-layer tutus, wholesale wristbands and headbands, woolly leg warmers and fishnet gloves to dress your dancers for maximum stage presence.